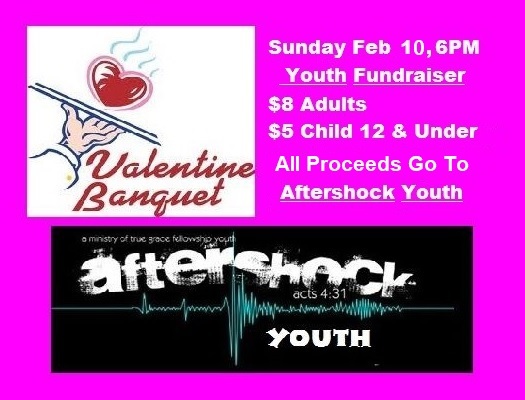 Join us on Sunday, February 10th at 6 PM for our annual Youth Valentine’s Banquet. This special event helps many of our youth with fundraising for camp and other activities year round. We hope to have everyone out to support our youth! MENU: Salisbury Steak, Mashed Potatoes & Gravy, Green Beans, Rolls, Dessert, Drink.